As your law firm grows and you add more staff members, you will quickly find that your needs for technology surpass what a few desktop computers and some Ethernet cables are capable of. At that point, you’ll need to decide between establishing an in-house IT department or getting the IT products and services you need in the cloud. “In the cloud” sounds like a nebulous concept, but all it really means is that you hire an outside IT provider to handle all of your technical needs. It’s called IT outsourcing, and it works much like outsourcing other services, such as accounting, human resources, or even housekeeping. The vendor keeps all of the data storage and software applications you need, providing you and your employees with secure, reliable access to the data and applications through the Internet. That’s all “cloud computing” really means. Here are the reasons your law firm doesn’t even need a tech department. You already know a lot about data breaches — the massive theft, mostly of consumer information, from such notable organizations as the US government, Sony Pictures, Home Depot, Target, and many others. What you don’t realize is that most security breaches are never reported. In most cases, there is no law forcing companies to admit they allowed their data to get hacked, so they simply don’t report it. 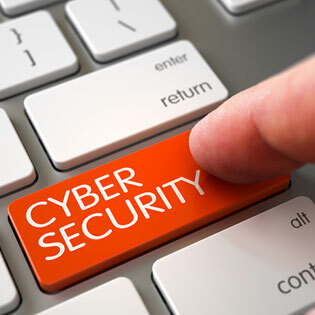 IT outsourcing vendors usually do a much better job of securing data than an in-house team, primarily because cyber security is their primary responsibility. What would happen if your business and computers were totally destroyed in a fire, flood, or severe storm? Most businesses never reopen from these kinds of events, and of those that do, many are defunct within a year or two. You don’t have to be a casualty. With IT outsourcing, all of your data and applications are tucked safely away in the cloud. No matter what happens to your business, your data and critical software remain secure. Wouldn’t you like to leave that big, overstuffed briefcase (and the associated rotator cuff syndrome) back at the office? With IT outsourcing, all you need to access your documents and files is a computer or compatible mobile device. No more lugging around the briefcase from Hades, and no more leaving critical documents at the office (which is both embarrassing and frustrating). Cloud-based data and apps mean that you can access your files and documents from most any mobile device from most anywhere that you have internet access. You can learn more about how this works when you download the white paper IT as a Utility. Are you aware that anytime you use software that you’re operating under a user license, and that software vendor can demand an audit of your use of the software at any time? Say, for instance, that you bought 18 copies of a popular operating system when you opened your firm. Over the course of the years, maybe your brother-in-law helped you install it on two dozen computers. If you get audited, you’ll be fined for those extra copies, even though you paid for the product. With IT outsourcing, you simply pay for what you use; there’s no on-premises software installation, therefore nothing to audit and no possibility of nasty fines! What IT outsourcing services does your law firm need?